Is your browser endangering your long-term care data? 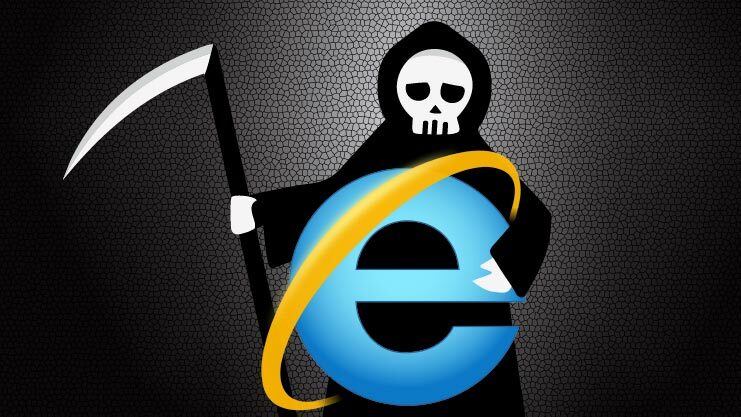 It’s official: Microsoft Internet Explorer is finally dead. Technically the browser’s older versions died out long ago, but — much like relentlessly menacing zombies — they continue to shuffle aimlessly around corporate offices and long-term care facilities, threatening to devour important company data and protected health information (PHI). Now, after two decades as the browser people often loved to hate, Internet Explorer is being put out to pasture. It will be replaced by Microsoft Edge, which comes bundled with Windows 10 and offers a much more streamlined user experience like competitors Chrome and Firefox. As of today (Jan. 12, 2016), Microsoft no longer supports Internet Explorer 8, 9, or 10. For the time being, Internet Explorer 11 (the final version of the legacy browser) gets a reprieve and will continue to receive security updates, compatibility fixes and technical support from Microsoft on Windows 7, Windows 8.1 and Windows 10. Going forward, a patch will nag Internet Explorer users to upgrade to a modern browser. While it’s possible for organizations to disable the nag screen, wise ones will realize it’s better to update their technology immediately. After Jan. 12, Microsoft will no longer provide security updates or technical support for older versions of Internet Explorer. This leaves the old technology highly vulnerable to malicious malware and software hacking attacks. Failing to upgrade to a modern browser puts your organization’s valuable data and software systems at risk. Only new browsers that are regularly updated with security patches can protect your users and systems. What does this mean for long-term care? We’ve pointed out before that Internet Explorer was never an ideal choice for long-term care facilities. It was vulnerable to hacking and software developers loathed it because of the many ways it limited the user experience in software-as-a-service (SaaS) applications. Long-term care facilities and post-acute care organizations are responsible for collecting and protecting a great deal of sensitive data. When you fail to protect resident information, you’re endangering not only HIPAA violations but your overall ability to provide the quality care for your residents. At SimpleLTC, we will continue to support our long-term care software on all modern browsers. While our favorite browser environment is Google Chrome, any of the options below can help you ensure the ongoing safety of your long-term care data. If you need help upgrading your browser or have other questions about the security of your data, feel free to contact the SimpleLTC Support Team. That’s great! Chrome tends to be our favorite environment for SimpleLTC software and is regularly updated with security patches.